In its most recent attack on Donald Trump and his supporters by the Wall Street Journal editorial page, one of its leading columnists, Peggy Noonan, asserted that Trump supporters are historically inaccurate in comparing Trump to the late President. She described Trump-Reagan comparisons as "desperate" and those who draw them as "idiots" and historical "illiterates." She questions the level of competence of Trump but ignores that Reagan was also regarded as grossly incompetent -- by media and GOP establishment hard-losers and spoilers, not Republican voters --and especially dangerous in foreign policy, which, presumably, only elites can understand foreign. Reagan was depicted as some sort of cowboy B-rated-film-star yahoo and loose cannon by the "chattering class" of 1980, one who might be tolerable as a governor, but who was definitely not sophisticated enough to comprehend let alone conduct foreign policy. Peggy Noonan relates in her column an adoring revisionist depiction of Ronald Reagan, as he has come to be appreciated today in the retrospective light of history. The Ronald Reagan she summons to make her case, however, is far from the Ronald Reagan of historical accuracy. The Ronald Reagan of the 1970s and 1980s was derided as inept and a potential disaster by status quo apologists, much as Donald Trump is being mocked today. Noonan also cites Reagan's experience as president of a labor union as a qualification for the Presidency that candidate Reagan had, but that candidate Trump lacks. Taking away nothing from Ronald Reagan, I suggest that managing a multi-billion dollar business for decades, one that operates in practically every corner of the globe, as Donald Trump has done, might count as roughly equivalent to heading a Screen Actors Guild - and maybe even serving as a governor of California. She also says Trump, unlike Reagan, is not a "leader of men." Here, again, the columnist tries too hard to make her argument. Reagan "was the leader of an entire political movement," Noonan writes. The people "elected him in landslides," she asserts. Who does that sound like today? 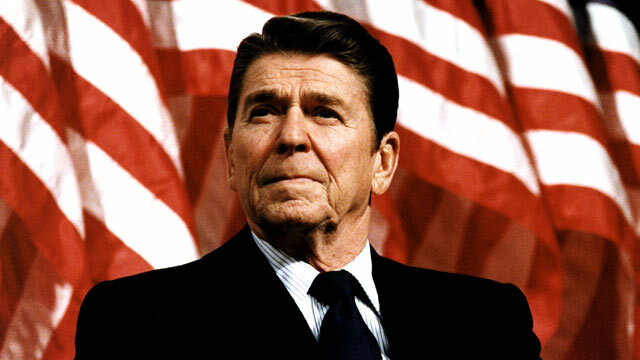 What political candidate in 2016 best resembles Reagan in both respects? Fortunately, voters create political verdicts, not columnists, and Donald Trump both leads a very substantial populist political movement and has won many primaries, often by unprecedented margins. Noonan denigrates the historical comparison of Donald Trump and Ronald Reagan that Trump supporters often make. On closer inspection, it is she who is more historically "illiterate" or, to be kinder, "forgetful" -- of the complete facts of Ronald Reagan's rise to power, and how in so many respects that rise parallels Donald Trump's emergence as a conservative challenger to the status quo. Like Donald Trump, Ronald Reagan was an entrepreneur - an aspiring broadcast sports reporter and film actor. He had to face the brutal competition of Hollywood, a place in which most aspirants to stardom failed. He started by himself, by selling his brand, just as Donald Trump started building hotels and golf courses by himself, also selling his brand (and did not squander his money, as young people from means often do, but multiplied it a thousand fold - and more -- making the correct plans and decisions in difficult situations, and plain hard work). Reagan had to sell himself as a labor union leader, too - to character actors and extras in the movie industry, not just stars. He was not involved with any governmental entity early in his career. Later, he worked for General Electric, one of the largest capitalist success stories in the U.S. at the time. Before he became governor of California, he was a man of business in the entertainment industry, climbing up the ladder of success in radio, movies, and television completely on his own. Ronald Reagan believed in free market capitalism and would have been deeply impressed, I believe, by the business accomplishments and acumen of Donald Trump. Ronald Reagan knew the core greatness of the U.S. lies not in government and the wisdom of professional politicians but in that very private sector in which Donald Trump has thrived and achieved an extraordinary level of success. Donald Trump's children, obviously well brought up, appear to be following in his footsteps. Do Mr. Trump's business accomplishments count for so little at the Wall Street Journal? How many other men have tried and failed to do what Donald Trump has done in the private sector? Has his extraordinary success not won him some plaudits from a leading member of the conservative free market press? In her column, Noonan also makes numerous points about Trump's lack of record as a proven governmental leader, as if this deficiency were disqualifying. 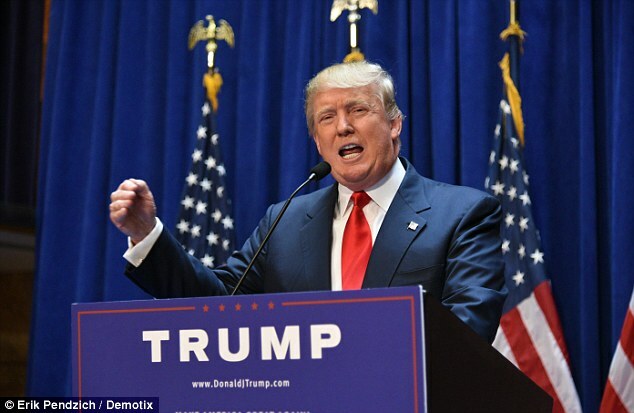 Since when in the U.S. have we belittled a man of business accomplishments with such venom? Isn't it entrepreneurs who built the prosperity of our great nation? The accusation Noonan levels against Donald Trump of "serving only himself" is the charge collectivists the world over frequently lodge against free market capitalists. Ronald Reagan would never have discounted Donald Trump's achievements, as the Wall Street Journal editorial page frequently does. Ronald Reagan was wiser than that. He would have praised them. He never would have said that because a man has not held elected office in this nation that he is, ipso facto, not a "leader of men." A man who employs thousands (22,500 at last report) is not a "leader of men"? Someone who has built an enormous international business that brings him into contact on any given day with foreign leaders, both business and political, is not a leader? To recall a touch more history, the Founding Fathers were overwhelmingly men of property as well as "citizen leaders" like both Ronald Reagan and Donald Trump. They were not career politicians. Ronald Reagan knew the sting of being called a "light weight" movie star, a graduate of rural Midwestern Eureka College which no one among the elite had ever heard of. And doubtless ad hominem attacks detracted from, and damaged in some respects, his core message of more limited government and defeat of the Soviet empire. But he persisted despite the snide heckling of the arrogant establishment of the time, and he communicated his message honestly and directly - and, turns out, successfully -- to the American people, thereby, accomplishing much good for the nation. Yes, and he also gave wings to a powerful political force, conservatism, which today, I suggest, finds its relevant fresh champion, however odd and imperfect the fit might seem at times, in the likes of a populist New York billionaire businessman who has a propensity to communicate his message of a better life and more secure future for Americans, directly and honestly, and with conviction, to the American body politic. Ronald Reagan as President of the United States? NEVER, they said. But the people voted, the nation spoke, and so, they were wrong. Today, despite differences over style and some issues, one thing we can all agree on: Hillary Clinton is no Ronald Reagan. Ambassador Faith Whittlesey served as White House Director of the Office of Public Liaison from 1983 to 1985 and twice, from 1981 to 1983 and again from 1985 to 1988, as U.S. Ambassador to Switzerland. She also was active in President Reagan's unsuccessful 1976 campaign and was Co-chairman of President Reagan's Pennsylvania campaign in 1980.